This year’s off-season has reached the point where patient teams like San Anronio could mop up. With the addition of Rudy Gay, the Spurs‘ roster is rounding into shape. San Antonio will have 12 players under contract when Patty Mills and Pau Gasol ink their new deals. If Manu Ginobili returns for one more year or Jonathon Simmons comes back on a new contract, the guard and forward rotations would be set. That leaves the big man rotation as the biggest issue to address. Gasol and LaMarcus Aldridge are the only two players currently on the roster who can man the center position. The Spurs need at least one and ideally two more bigs who are capable of handling regular minutes, but they have little in terms of money to offer. Fortunately, the way the market for power forwards and centers is shaking out, they might get a bargain or two. They will just have to be patient. After a summer of crazy spending in 2016, the market has stabilized. Fewer teams have cap space this year and there’s no huge cap spike coming. Eight figure deals for role players have been rare this offseason, while a broken down Luol Deng got $18 million in the first day of free agency last July. Those crazy contracts are still in the books, limiting a lot of team’s spending power. The result has been depressed salaries, in most cases. Sure, there has been the occasional head-scratcher (seriously, Knicks?) but overall, players are finding out that the contracts that were doled out last year are not out there anymore. Some players who declined player options looking for a bigger payday — like our old friend Aron Baynes — will likely lose money. Jeff Green, who last summer got a one-year, $15 million deal has recently signed for the minimum. Last offseason was a unique situation. Teams have been much more careful deciding how they spend their money this time around. It’s now a buyer’s market in which contenders in particular are landing good role players for cheap. Free agent big men have been hit the hardest by this new reality. Not only are playoff teams spending less but they are also not interested in paying centers. Both in the East and in the West there are superpowers who can go small with a superstar small forward moving up a spot. Opponents have to match, which means playing only one traditional big man at the time. So far, Nene, Kelly Olynyk, Cristiano Felicio and Zaza Pachulia are the only centers signed. Among power forwards, only Mike Muscala, Amir Johnson, Taj Gibson, Blake Griffin, Serge Ibaka, Paul Millsap, Dirk Nowitzki, Patrick Patterson and Zach Randolph have secured new contracts. That’s it. There are a lot of bigs still out there looking for a team and seeing the money go fast. Some franchises still have ample cap space, so most free agents are still biding their time. Desperation or at least lowered expectations, however, will eventually set in. Players are realizing that the contracts their coworkers got last season are not out there this year. Big men in particular have to be aware that the big offers are not coming. They will get jobs, because teams still need big to navigate the regular season, but at least some will have to sign for much less than they were expecting. That’s how things are looking so far, at least. If the big payday is no coming this season, playing time and an opportunity to become free agents again soon become much more important. For some players, the opportunity to make the playoffs and make a deep run will also factor in if the money is similar. We’ve already seen Patrick Patterson sign a short, small deal with the Thunder because they could offer both playing time and a chance to play for a winner. The Spurs are one of the few teams who could also offer both. Whoever they sign would be their third big man. The West will be a bloodbath next season but San Antonio should remain near the top. If the money is the same, that’s a pretty great situation for a free agent. The Spurs won’t somehow land a difference-maker with the biannual exception. There are some decent veterans out there, however, and many are good enough to sop up minutes during the regular season. That’s all San Antonio needs. Last offseason the Spurs signed Dewayne Dedmon relatively early in free agency, but they didn’t secure the services of David Lee until July 28. Patience paid off then, as Lee became a quality third big man for a 61-win team. Patience could pay off now as well. 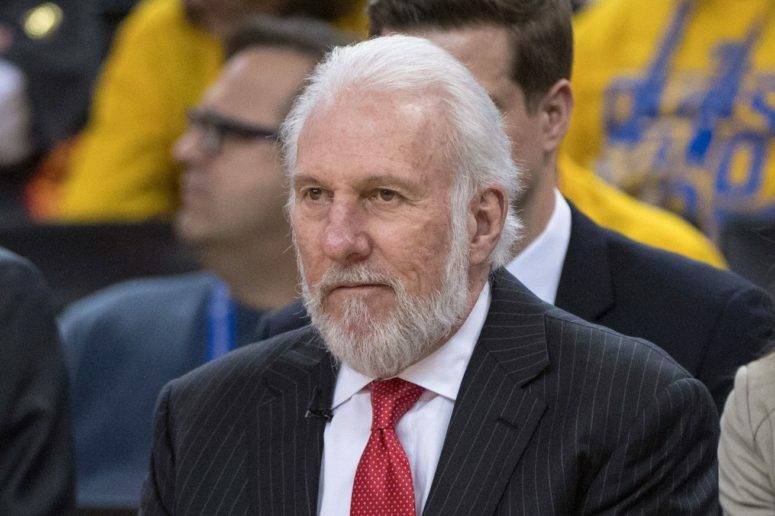 At least for a while, no news might be good news for the Spurs in free agency.